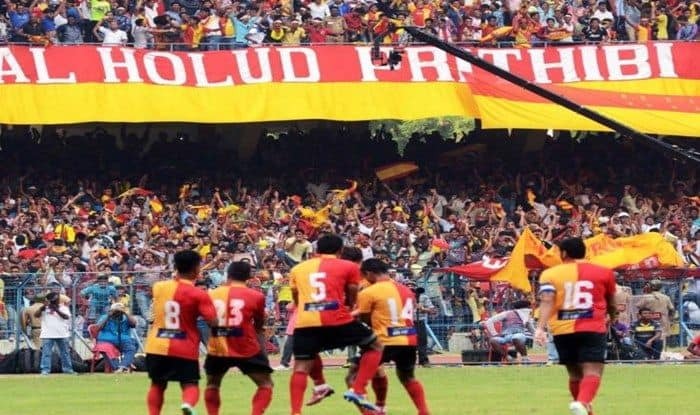 East Bengal will take to the field against Real Kashmir FC at the Vivekananda Yuba Bharati Krirangan in Kolkata in the I-league as the two teams will aim to top the standings on Friday. Since making their historic debut in the league, Real Kashmir have impressed and with their string of consistent performances, remaining unbeaten in their last five matches. In their last outing, they beat league leaders Chennai City FC by a solitary goal, underlining their title credentials. Will the snow leopards be able to nail another away victory over East Bengal FC to top the table? The Srinagar-based side are placed second with 17 points from nine matches, one behind Chennai City. Two points behind Real Kashmir are East Bengal at a third spot having played a game less than both their opponents on the morrow and Chennai. Since their home defeat to defending champions Minerva Punjab FC, East Bengal have won three games on the spin, snapping a string of three straight defeats. When will the East Bengal vs Real Kashmir I-League clash take place? The East Bengal vs Real Kashmir match will take place on 28th December 2018 at 5 PM IST. Where will the East Bengal vs Real Kashmir I-League clash be held? The East Bengal vs Real Kashmir match will be held at the Salt Lake stadium. Which Indian channel will broadcast the East Bengal vs Real Kashmir clash? Star Sports Network will broadcast the East Bengal vs Real Kashmir clash. Where Can I live stream the East Bengal vs Real Kashmir I league match online for free? The East Bengal vs Real Kashmir match will be available for free on hotstar.com and Jio TV app.